Studying for the USMLE Step 3 can be quite arduous, and even daunting, for some candidates. This is understandable as apart from the knowledge of the subjects, you also have to manage your time, since a lot of your time before the exam is spent conducting clinical rotations. With this in mind, as a USMLE candidate, you should be looking for arranging study resources that are easy to keep in mind and do not take huge chunks of time in delivering concepts. We understand that finding such resources may be difficult, especially if you are a first time candidate. You do not want to go through the good old method of trial and error, as by the time you realize that a book or guide is not good, it might be too late to prepare with another resource. 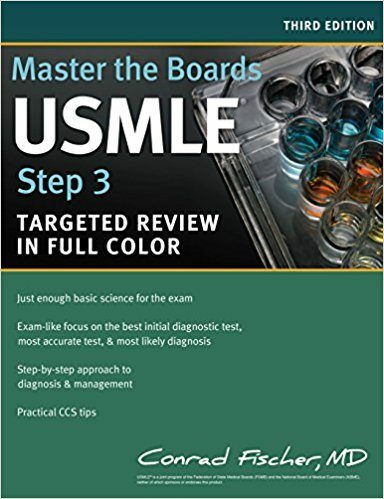 With our extensive research in medical exams resources, we can help you in finding some of the best USMLE Step 3 available at the moment. We have shortlisted some of the students favorite and most exam-focused books in the sections below. Kaplan is a reliable name in the world of medical studies. It has been producing innovative solutions and guidance supplements for students for over four decades. 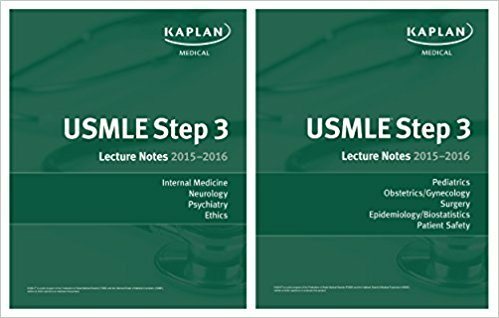 The Kaplan USMLE Step 3 bundle is a comprehensive set of study notes and will give you great assistance in acing your exam. 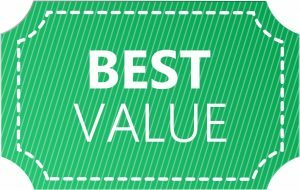 The bundle is updated biannually, which means that you can always be at the top of your game when approaching the exam. The set provides information on basic science correlation, patient management, patient safety and population health. All the content has been provided and then reviewed by medical experts in the Kaplan team. What I liked about this set is that the contents of the books are basically focusing on case studies, with relevant definitions, explanations and summary boxes provided in each case. You can quickly go over everything through the summary boxes in case you need to revise some topics. There are over 250 cases discussed, in a total of 996 pages, to give you a thorough review of possible situations asked in the exams and to keep you mentally ready to tackle any case, during Foundations of Independent Practice (FIP) and Advanced Clinical Medicine (ACM) components of the exam, with proficiency and confidence. Moreover, with the books designed compactly, you can carry them along with you, in your hand or a bag, and study on the go. Perhaps the only downside to this bundle is that it is limited to only the CSS portion of the USMLE exam. For the other sections you need to separately purchase Step 1 and Step 2 bundles, which is going to add to the expenditure. First Aid is a popular publisher of medical books. 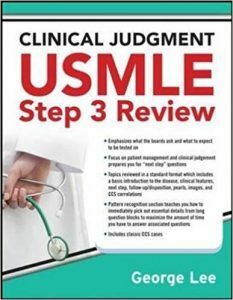 Its USMLE Step 3 solutions are curated under the supervision of Doctor Tao Le, who is associated with The Johns Hopkins University School of Medicine and the University of Louisville. What I like about this series is that it gives you information like a student would share with another student. In the total 544 pages of the series, you are going to discover some super effective and practical test taking strategies, specially designed for the updated 2 days exam session. My only qualm with this series is that First Aid has made each set dependent on the other; therefore for a complete understanding and thorough revision you would have to supplement this series with the step 2 series from First Aid. The Master the Boards USMLE series is relatively new and its popularity is still growing amongst the students. The contents of the Step 3 book has been designed by Doctor Conrad Fischer, who is the Residency Program Director at Brookdale Hospital (NY). The book comes as a standalone, unlike the aforementioned series which also had add-ons like cards or volumes. It has 592 pages of content, making it quite desirable for those who do not like studying off a lengthy book. The moderate size of the book means that the content is quite concise, but you are still going to get good information from it. The book follows a step by step approach, which helps in building your logic and giving you a better understanding of how the things you learned are used in real cases. Each chapter has been designed specially to reflect an exam like style for diagnostics and tests. You are also going to learn about certain techniques, like elimination, that are aimed for success at USMLE test taking and otherwise require quite a bit of experience to learn of. This is quite appreciated as other books usually have a generic set of advice / strategies that most students are already aware of. The questions have been formatted in a helpful and easy to remember way, which means that you are going to remember the information and quickly click in in your mind during your exam. However, I strongly feel that this book is solely not enough for a comprehensive preparation of the USMLE Step 3 examination. Other books in this list fare much better individually and should be preferred over this. Clinical Judgment: USMLE Step 3 Review is another book that has been introduced recently. It has been developed with an aim to develop clinical judgment skills in the students and has a friendly approach to the content. The book starts from the basic science concepts and grows them step by step, which is really helpful for the multiple choice section of the exam. 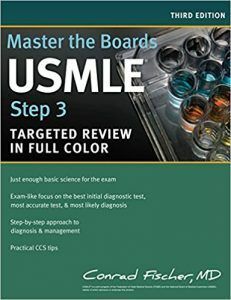 Since it has been released recently, the book is quite up to date with regards to the modern style of the USMLE exam. The content of the book has been divided into different sections, with a total of 400 pages, which focus on various parts of the exam, such as diagnostics and patient management. Perhaps the best part about this book, in my opinion, is that there is no fluffing of content involved. Every concept is explained in a direct fashion. There are questions and keyword reviews to keep your knowledge base tested and active. There are also several tips included in each topic, which will definitely help you in improving your Computer-based Case Simulations (CCS) score. The book also helps to develop your gut instincts about a case through a pattern recognition section. There are detailed examples of cases and a guideline of how to handle them, with a focus on exam style format. This will definitely allow you to quickly assess a case and answer the long narrative questions without wasting much time. However, do note that this book is not quite as comprehensive as one would like it to be. 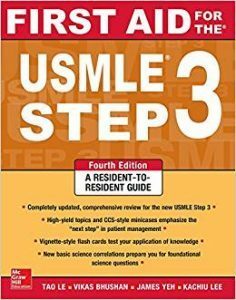 You are not going to find all the information you would require to top the USMLE step 3 exam with this book alone! 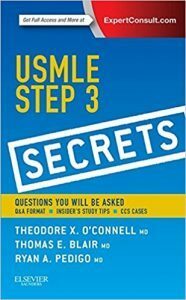 The USMLE Step 3 Secrets is produced by Doctor Ted O’Connell, who is a successful international educator. 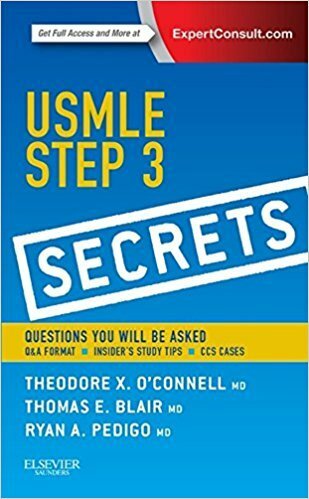 Part of the USMLE Secret Series, the Step 3 Secrets has become quite popular amongst students and is recommended as an aid for acing one of your most important medical exams. 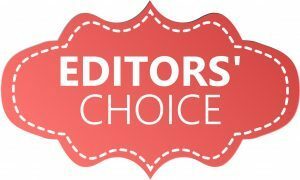 I chose to add it in the list because of its refreshed and engaging style of content, which written by former USMLE candidates, who have excelled in their exams themselves and are now successful in their medical field of choice. The book has a total of 400 pages, which are divided in to different sections about diagnosis, treatment, and management of common disorders. There are overviews given about each topic at the start and quite engaging questions at the end, which will refresh your memory and test your knowledge. This is going to help you get the most from your reading, while still being efficient in managing time. One of the best things about this book is that it has been written with a simple style in mind. There are no flashy words or superfluous content used by the authors, which means that it is easier to understand the content and put it to memory. There are several illustrations and tables in the sections to help you visualize the topic. Moreover, it is always handy to keep figures and tables in mind. Since the book is written by previously appeared candidates, they have shared their proven strategies for excelling in the exam. There are also useful tips provided by Doctor O’Connell himself, which he has learned from his experience in the medical field. The only negative I can think of in this book is that the reviews provided in each section do not go too deep and unless your concepts are well developed already, you may not be able to benefit a lot from these reviews. 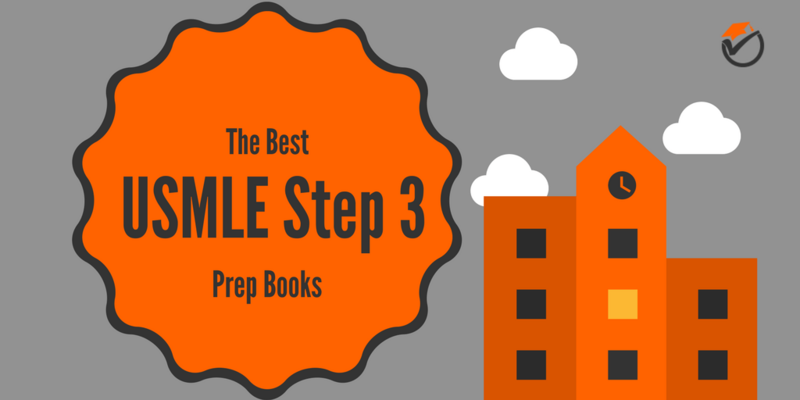 Now that you have read through our shortlist, we are sure that you would have a better frame of mind regarding where to start you USMLE Step 3 preparation. Of course, you may still be wondering that which book or series you should opt with even in our list. To be honest, we would recommend you to focus on your weaknesses and then see for one of the books in our list which best focuses on improving your weak areas. Also, you should at least go with a supplementary aid apart from a main resource. Why you ask? This is because USMLE Step 3 is a comprehensive examination and no single book can cover all the possibilities of queries that might come in the exam. Our general favorite from the five mentioned studying aids is the Kaplan lecture note bundle. 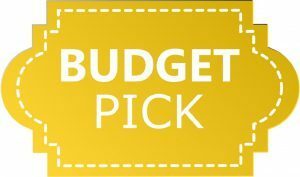 While the bundle is pricey, it is a pretty reliable source to study from and has been a favorite of students for several years. Since Kaplan is a big brand in the world of medical books, you should be assured that its book has content designed exactly to tackle the exam. 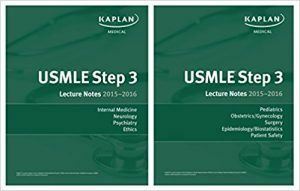 With a thorough reading of the Kaplan USMLE Step 3 set, you should be able to approach the exam with full confidence in your knowledge and abilities.